Various batik from handwriting and printing batik fabrics offered in Bangkalan, Madura, East Java. 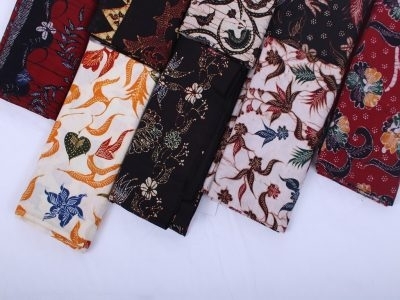 Such as Batik Tanjung Bumi, Batik Pekalongan, and Batik Pamekasan, all can found in here. Provides limited designs each batik products. A company that manufacturing printing batik from Indonesia. Has high quality design and fabric materials which is processed into various products such as fabrics, garments, and sarongs. All products are offered for men, women and kids.